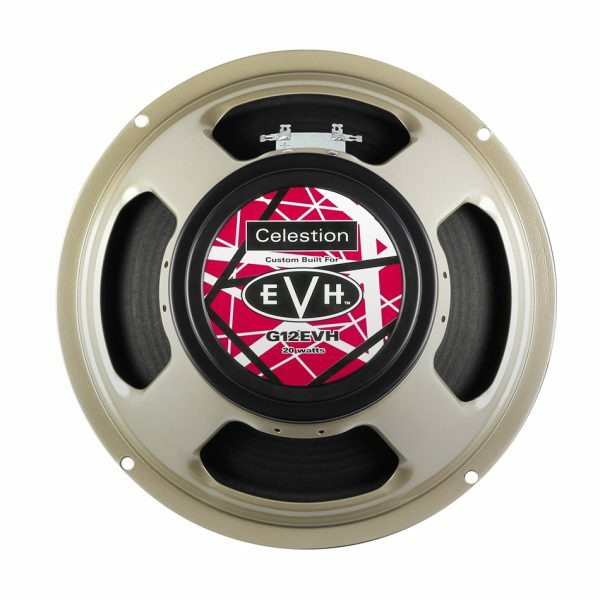 Explore the authentic tones of the Celestion G12 EVH at home, in the studio or live with the G12 EVH speaker IR in a 1×12 open back cabinet configuration. Experience for yourself the full low end and articulate highs behind Eddie Van Halen’s legendary ‘brown sound’, with the EVH speaker IR. In this 1×12 open back speaker IR, the G12 EVH has been recorded with 3 different industry standard microphones – Shure SM57, Royer R-121 and Sennheiser MD421 – each in 7 different positions: Fat, Thin, Balanced, Bright, Dark and Dark 2, plus Rear. This IR also contains three recordings using Neumann TLM 107 room mics – Left, Right and Stereo – plus 8 mic mixes. All files are in .WAV format for maximum compatibility with most popular plugins and amp sims.